I had just finished drafting my review of Movements‘ album Feel Something when I got an email asking if I wanted an interview. I couldn’t agree to it quick enough. My deep dive into the eleven tracks by the Orange County band had left me with curiosity and a desire to have a chat with Movements. This morning I connected with Movements’ frontman Patrick Miranda while he was in transit, on the other side of the world in comparison to me in my armchair in Melbourne. My first curiosity and question for Patrick related to the album cover, and how it came to be. Below is the explanation in Patrick’s words, as well as the transcript of the rest of our chat. Patrick: So basically the idea behind the album cover is that I wanted something that would have the name of the record and would have some sort of content without having to touch it on a computer. I didn’t want us to have to Photoshop ‘Feel Something’ over the picture and I didn’t want us to have to go in and do anything crazy. I wanted it just to be captured in one photograph. Movements has always been very much about doing our own artwork. We did all of the photos for the EP and for this record cycle. We’re really all about keeping it within our own circle and producing our art that way. So I had this idea, like ‘How do I accomplish that and still have it be an impactful image?’. So we worked really closely with our photographer who comes with us on tour (Kurt Cuffy) and he and I put together this idea. We ended up coming up with the idea of making this ‘Feel Something’ sign and stringing it across wherever we could. There were a bunch of ideas that were thrown around because originally we didn’t know if we were going to do it in a forest or put it in a cityscape. Basically we were kind of down to the wire and were about to meet our deadline of when we needed to have our art ready by and we were like ‘Shoot, we gotta do this!’. We had built the sign while we were on tour and we were playing a show in Portland, Oregon and basically I have some friends in that area and I was just like ‘Hey would one of you be able to help us out with an album cover. All you’d have to do is come and hang out with us in the woods.’ It was a little weird but we got it all put together. We tried a lot of different things. We wanted to have it embody the emotion behind the record and feeling something and I figured the best way to go about that was to have sort of this ethereal, almost ghost-like image underneath the Feel Something sign. And so basically we had our subject spin around in circles and jump and do all these fun things and we chose our favorite photos from that. It was really fun and it was very DIY and we had a really great time doing it. It’s something I think we’re always going to do as a band. We’re going to always try to make our own art by just ourselves and keep it a tight-knit little group. Kel: Do you feel that that kind of means that the messages behind your music come through into these pieces as well. If you have someone doing them for you, they’re not necessarily going to have the heart going into it, I guess, compared to you guys? Patrick: Absolutely. I think it’s totally possible. I’m all about showcasing others’ work and stuff and I think it’s great to collaborate with other artists, but yeah I think there’s a certain degree of being close to the project, when it’s ‘our people’ it’s ‘our team’ and the people we always work with, like we’re doing it internally. There’s something about that that just makes that more special. I really really like that. Kel: I feel that as well with the lyric videos that you’ve done. Are they all your own work as well? Patrick: Yeah. So all the streaming videos for this record were done by myself. A few of them I had Spencer our drummer help me with. But yeah it was sort of this idea, as in the “Colorblind” video if you’ve seen that video, there’s a lot of projection and stuff and I really wanted to keep that a common theme throughout this record cycle because I really like the look of it. And so I spent three nights outside with a big generator and our projector and I just projected all of these lyrics onto different backgrounds and different creative things to try and sort of bring them to life. Because A) I really want people to learn the lyrics and know them when they come and see the shows, but also I wanted to do it in a creative way that maybe a lot of people hadn’t seen before or something like that. Yeah, I was really happy with how they came out actually. I was pretty pleasantly surprised. Kel: They look good. When you were saying you had a projector, I knew they had a projector look to them but I had assumed it was done afterward because the ones I’ve seen so far are done so cleanly. Patrick: Yeah we did them all by projector. It was pretty crazy. I probably spent way more time on them then I really should have. [laughs] It was fun. Kel: [laughs] A passion project. Kel: So your first single was “Colorblind”. I think I read somewhere that you are actually colourblind, is that correct? Kel: Okay. I couldn’t help but notice that colour came into the album a lot. In most of the tracks it seems like there’s some mention of colour, and how colour seems to blend in with emotions? Patrick: Exactly. That’s literally exactly what I was trying to accomplish with writing those lyrics and I think you’re probably one of the only people who have actually picked that up. A lot of the interviews that I do, they talk about “Colorblind” the single having those references, but yeah there’s reference to colour in a LOT of these songs. There’s reference to the lack of colour, and each of those colours is representative to a different emotion. For instance “Deep Red” is a love song and we’ve never really had a love song before. And so it was only fitting that that song was the colour red. Kel: “Deep Red” is amazing, I love it. Patrick: Oh thank you so much. I appreciate that. But then “Daylily” in how I reference the pink clouds and whatnot, that’s another sort of uplifting happy message, but then in songs like “The Gray” it’s like the complete opposite of that in how it’s supposed to be dark and entering depression and the cycle of that sort of mental illness, it’s the lack of colour. So yeah, you’re totally right in your assessment, that’s exactly correct. Patrick: I appreciate the fact you’ve been able to pick up on it. I think that’s really awesome. That’s exactly what I was hoping that they would do. So thank you for that. Kel: Cool, no problem. I haven’t actually given a deep listen to Outgrown Things EP. Did you talk about colour in that release? Patrick: I actually didn’t at all. Outgrown Things I wrote when I was a little younger. We wrote that probably three years ago. I was still coming into myself as a lyricist and as a writer. And so I think there’s less of a cohesive element between the songs on Outgrown Things. I think that each one are still great, I really love all those songs and connect with those songs. But they don’t really have that common thread that the songs in Feel Something have. Kel: Fair enough. Each of the songs in Feel Something, they have this storytelling vibe to them. Do you see them as stories of moments that you’re trying to share? Patrick: Absolutely. Yeah, every single song that I write is from a very personal honest place. I never write about anything I have never personally experienced. Every single one of my songs is deeply deeply personal to myself. And so yeah, each song is like a little snippet of my life and the things I’ve dealt with and the things I’ve gone through. For instance with “Deadly Dull” and having grandparents who have alzheimer’s and dementia and watching them be eaten away by those diseases is really hard to watch, but I also think that so many people can relate to that and understand what I’m feeling when I’m explaining those scenarios and stuff. That’s what I hope for with all of our music, that it connects to people in some way, because for me when I would listen to music growing up, I would connect with the songs that I could relate to. Songs that made me feel less alone in what I was dealing with. And so that’s what I really hope that Movements can do for other people. Kel: I think I’m seeing that too. I see lots of people sharing a particular track, and they usually share it without saying much, it’s kind of like ‘Wow’. Like, here’s this lyric video of this particular song and you can tell that they feel “When I listened to this I had a moment with it, it meant something and now I’m sharing it outward”. I think you’ve achieved what you set out to with the album. Patrick: Awesome. That’s good to hear, thank you. Kel: What I noticed too in the whole of the album was that when you describe these situations of feeling nothing or feeling something neutral that it was kind of heavy, and then whenever there were these moments, thinking about “Third Degree” and “Deep Red” in particular, these experiences of intensity, it’s like there’s a LIFE that shows up. 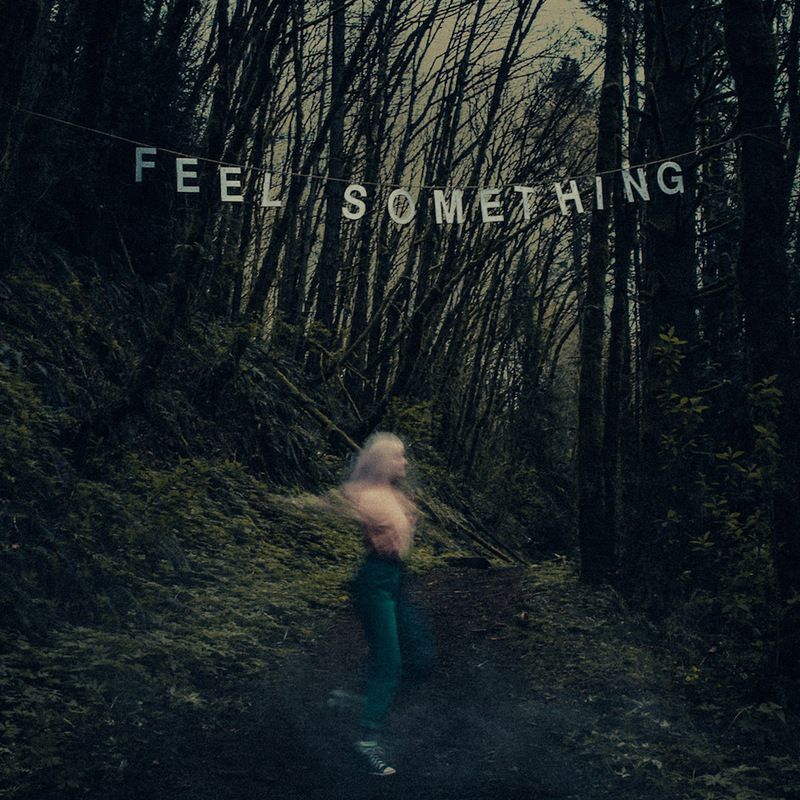 It struck me that with the title of Feel Something, it’s like maybe you’re sharing that you crave to feel *something*, as the opposite of nothing. Do you know what I mean? Patrick: Absolutely, yeah that’s sort of where that comes from. There’s multiple times throughout the record where I reference ‘feel something’ and that’s part of the reason why we called the record Feel Something because it comes up at three different points throughout the record, and it’s always sort of in a different context. It’s mostly the same thing, but it does come up three different times and they’re all a little different. I think it’s “Deep Red”, “The Gray” and “Fever Dream” that are the three songs that say ‘feel something’ in them. So yeah it’s very much like the desire to feel something other than nothing. To feel something other than just being numb. But it’s also like a statement to others, like “Feel something!” whatever it is. If our music makes you angry or if it makes you feel sad or if it makes you feel happy or if it makes you feel indifferent.. whatever it might be, all we care about is that it makes you feel something. That it has some sort of emotional value, that’s all that we care about. Kel: Yep. Is that to partly help people as well? To maybe draw them out of a state where they might be really numb and you’re kind of taking them by the hand into some of these emotions with you? Kel: “Daylily” in particular. I feel like that’s a really beautiful song, sharing that you’ve got someone that cares about you and is trying to bring something better to you. Patrick: Absolutely. As a person who does struggle with mental illness, I struggle with anxiety and depression, and I was recently diagnosed with obsessive compulsive disorder. I know what it’s like to be in a lot of these peoples’ shoes. I know that there’s almost nothing better than being able to know that somebody understands you and somebody is there for you and they get it, and you’re not just dealing with whatever you’re dealing with by yourself. Kel: Yeah, it’s so powerful. Patrick: Exactly. I think that a really big part of recovery is being able to be open and honest with what you’re dealing with. And then just to know that you have a support system behind you. I think that in “Daylily” especially. That song was written especially for that exact thing for my girlfriend who also struggles with her own things in her life. It was sort of written as a reminder, like “Hey I’m here for you. I’ve got your back. You’re gonna be alright.” And just “You’re going to get through it, you’re going to be okay”. I think that’s really important if people can apply that to themselves. Kel: I’ve had “Daylily” in my head and that’s probably why. You know how you get a song in your head and it’s like the song that you need to hear? Over and over and over? I feel like “Daylily” has done that to me. [laughs] Like “Okay, carry on, keep going”. Kel: It’s the same with “Full Circle”. The whole song feels like it has this desperation to it, but it’s also like “Hang in there with me while I’m feeling this desperate, because there is something better coming. There HAS to be something better coming.” because we kind of know that there’s this pattern of cycles in our life, and this invitation of “hang in there with me” is kind of comforting in that way. Patrick: Yeah, definitely. It’s good that you bring up “Full Circle” too. I wrote that as basically that, what you just explained. It’s almost like a ferris wheel, that’s how I like to describe it. My cycles of my depression, it’s always like this constant circle. There’s going to be the times where you’re at the top and you feel great, and things are going well, but eventually like you are going to swing back down and there’s not really anything you can do about that, just because it is a chemical imbalance. Treatment and stuff will obviously help but there’s never going to be any avoiding it. Eventually you’re always going to be back down to the bottom of that wheel. BUT just like you’re always going to be back down to the bottom, you’re always going to swing back to the top. And no matter what, it’s this constant cycle, and that’s how I like to describe it and how I like to envision my mental illness; It’s a cycle, but it’s always going to come around. Kel: It’s really reassuring to think like that. Kel: With the darker tracks that don’t seem to have much of a resolution to them, are you just sharing that other people feel bad and it’s okay, and you’re not alone in feeling bad and not seeing anything beyond where you’re at? Patrick: I think that there’s something really important about being able to write dark music that doesn’t necessarily have a positive outcome in that particular song. Because for me I always connected to the songs that were dark and were sad because I understood them. It almost makes me feel happier to listen to sad music than it does to listen to happy music because I can relate. And it just goes back to: There’s nothing better than knowing you’re not alone in what it is that you’re dealing with. I write those sad songs because that’s how I felt, but I write them with the intention of hopefully other people being able to have the same sort of experience that I would experience listening to sad music and just being able to relate and know that you’re not alone. Kel: How has the album been received so far? I’m seeing a lot of people loving it. Patrick: It’s been better than we really could have ever imagined. I think so far kids have been really really stoked about it. Every single show that we’ve played where we’ve played the new music, we have tons of kids singing along to all the new music and it’s really cool. I have people coming up to me after shows and saying “This is my album of the year!” and “This is my favourite record that I’ve heard in so long!” and “This record means so much to me”, for whatever reason it might be. I get a lot of people talking to me about “Deadly Dull”. I think that a lot of our fans are at the age range now where grandparents are starting to pass away and a lot of them have alzheimer’s and dementia, and I’ve been there and I’m dealing with it now with my girlfriend’s family. Her grandfather has alzheimer’s and her grandmother passed away last year around this time and I think it’s a very common theme amongst our peers. So I get a LOT of people talking with me about that song, which is great. That’s exactly what I hoped for. They tell me “It’s helped me so much” and that’s all that I want. Kel: It expresses it so well, especially musically, at the bridge or toward the end where there’s these layers of sound and you can kind of imagine it’s this mental bombarding. Patrick: Yeah, definitely. That’s very very much kind of the idea behind it. We’re actually going to be portraying that in a music video that we’re putting out next year, that’s going to be completely centred around alzheimer’s and dementia. We’re going to hopefully working with the American Alzheimer’s Association and doing some sort of advocacy and community outreach, hopefully setting up donations for alzheimer’s research. We really wanted to embody what it’s like to live with somebody who is struggling with that and suffering from alzheimer’s, and hopefully make a positive impact out of it. Kel: That sounds great! I’m curious to see how you’ll do it. I really enjoyed the “Colorblind” video, the way you had the layers and the flashes of colour in moments and it was grey again. I really liked that. Patrick: Thank you very much. I appreciate it. Kel: It was kind of like you were accepting that you have this colourblindness and also this blindness to seeing the good in these women, but it was also “It’s not how I want to be. I want more than this.” It’s kind of like this fight between these two parts, yeah? Patrick: Yeah, exactly. [laughs] You nailed it. Have you got any plans to come to Australia in the near future? Patrick: We’re talking about it. We had a meeting about it last night actually with our management. There are definitely plans to be in Australia in 2018. We don’t know when officially. The talks right now are Fall or Winter, for you guys. You can definitely look forward to catching us then. Thanks for chatting with us, Patrick!